Just received my replacement absoluteBLACK oval ring today. 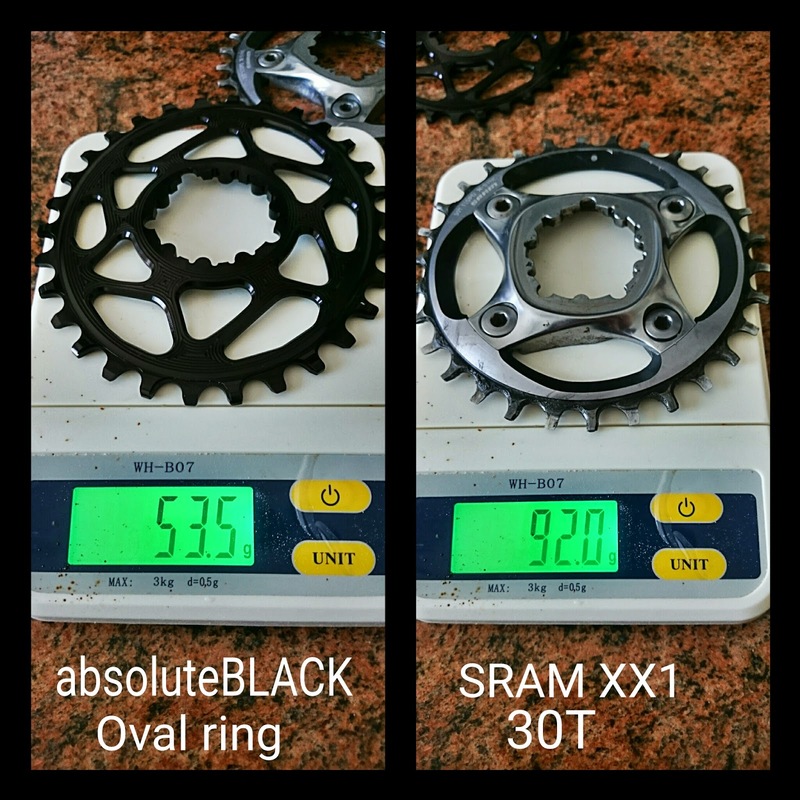 The 30T oval ring weigh only 53.5g, about half the weight of SRAM XX1 30T ring at 92g. Besides saving weight, is has the unfair advantage of better traction and more power while pedalling. I have been riding absoluteBLACK oval ring for a while. 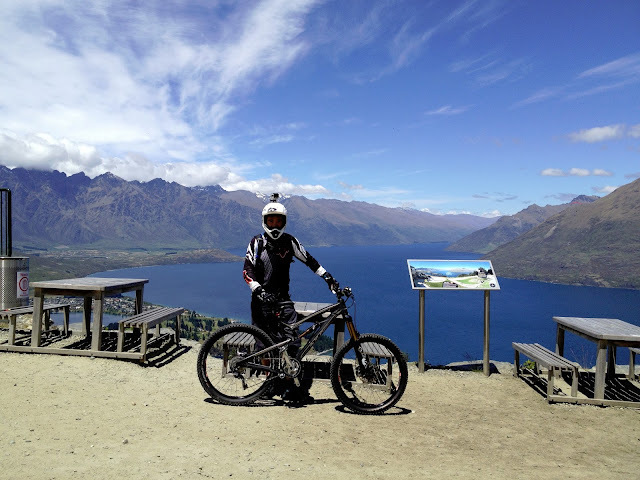 It is addictive, pedalling can no longer be the same. The oval ring rotation stroke "felt" rounder than round ring. The pedalling pressure are consistence throughout the pedalling stroke. You can climb better, especially off-saddle. If you want to understand the physics and technicality of how the oval ring works, please visit absoluteBLACK website. 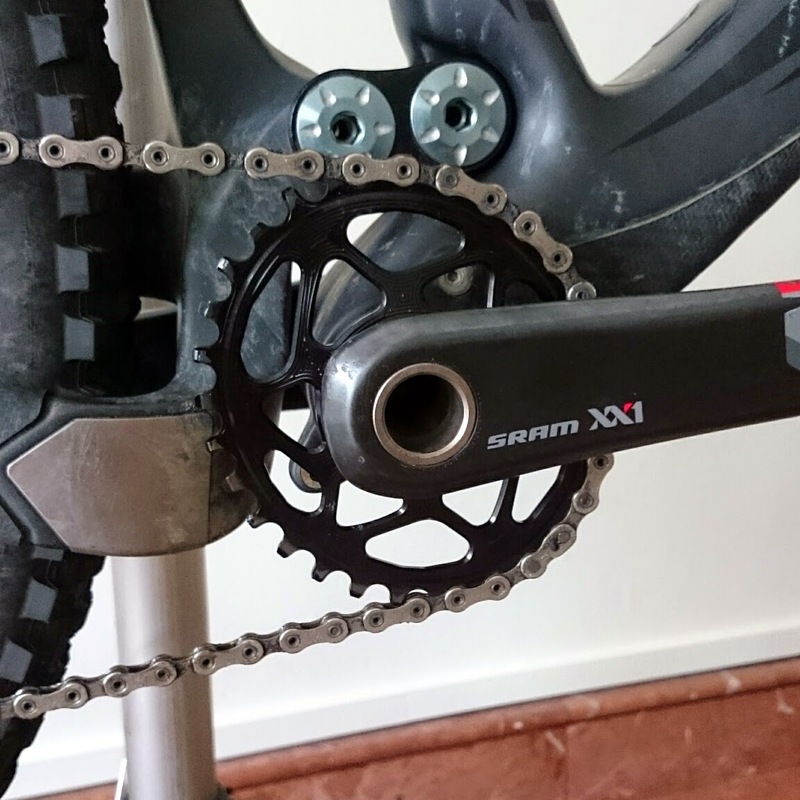 Installation is easy, no additional spacer or chain guide is needed for XX1 crankset. Dissemble the crank and remove the XX1 spider ring. Install the absoluteBLACK spiderless oval ring onto the XX1 crank. Clean, grease and assemble the crank back on the bike. Less than 15 minutes job. The above photo illustrates the assembled version of absoluteBLACK spiderless oval ring. The first absoluteBLACK oval ring (32T) I had bend during my third ride. It happened at Bukit Timah mountain bike trail just after I shifted to low gear before the climb. The chain drop off the ring, and the bend oval ring no longer able to hold on the chain. I pushed the bike all the way back to the carpark. Marcin, the CEO of absoluteBLACK personally attended to my query. According to him, mine was the only 2 cases worldwide. Obviously, no one believe my oval ring bend by leg power. 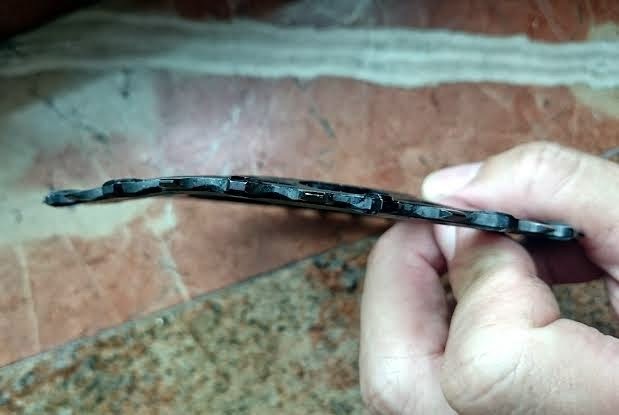 However, the bend oval ring shows no evident that the bend was caused by crash or hitting hard object. It just bend under pressure. Marcin was in the opinion that I should use 30T oval ring instead of 32T. The failed oval ring was sent back to absoluteBLACK for lab test. I seriously love this oval ring. As what my riding buddy Yew Weng said, "half the weight and twice the power!" Hopefully the lab test result enable absoluteBLACK to determine the underlying reasons for causing the spiderless oval ring to bend. "So it took me a while and we finally figured out what you did. It is not chainring fault. 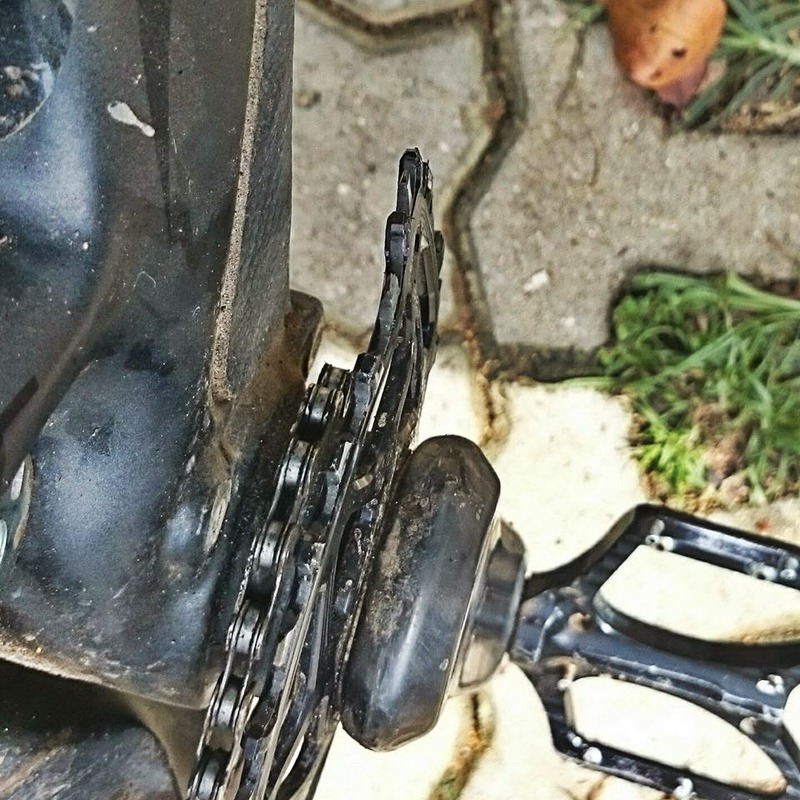 What must have happened is when you changed the gear, chain jumped up (from any reason like rough terrain or stone/small stick/etc) and while you were still pedaling and changing the gear you pushed hard where chain was only partially on the front chainring. 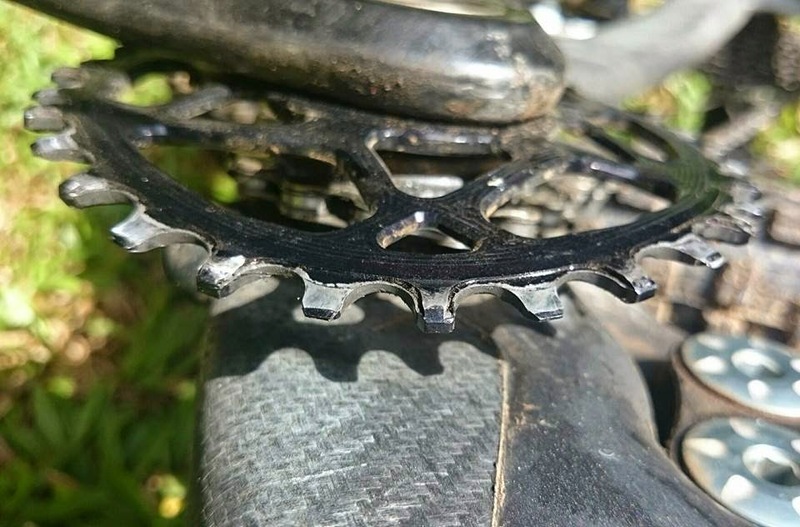 The indicator for it is that 2 of the teeth are more damaged and it is very clear that chain fell off in this point to the inside of the frame (when you changed gear) and then you pushed and bent remaining of the chainring. Like I wrote it is impossible to bent that chainring when chain is fully on it. 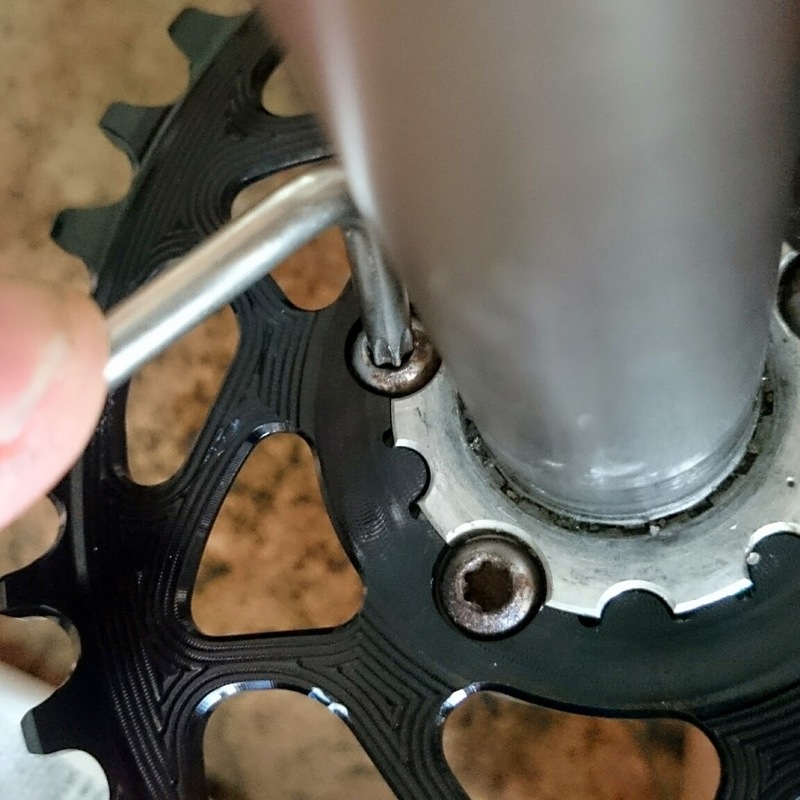 It is clear that chain was only half engaged with the chainring as there are marks from the chain itself to dig into the chainring from the inside of the chainring. That means chain actually clogged in and you were still pedaling regardless of it. It looks like chain actually clogged on the ring and not fell off on its own. So it was not a product fault after all." The above video illustrates how the absoluteBLACK spiderless oval ring rotates flawlessly on my XX1 crankset. but if the chain felt off before: this IS a fault of the chainring - isn't it ? I have since change my rig to Yeti SB6c and installed new chain and 32T AB Oval ring. No issue so far. looks like AB needs chainguide to avoid such issue.